No other word could describe Po, the dragon warrior. He is so awesome! Funny and likes to jokes around. Po or originally named as the little lotus had been adopted by the Mr Ping. He was born in a farming village to his birth parents,Li Shan. Po was separated from his family as a result of a massacre. He was then eventually found by Mr. Ping, hoping for Po to inherit the family noodle shop some day. However, Po was drawn to kung fu, and his unwavering enthusiasm led him to be chosen as the Dragon Warrior. Together with the furious five, they form unbeatable team alongside with adventurous journey together. 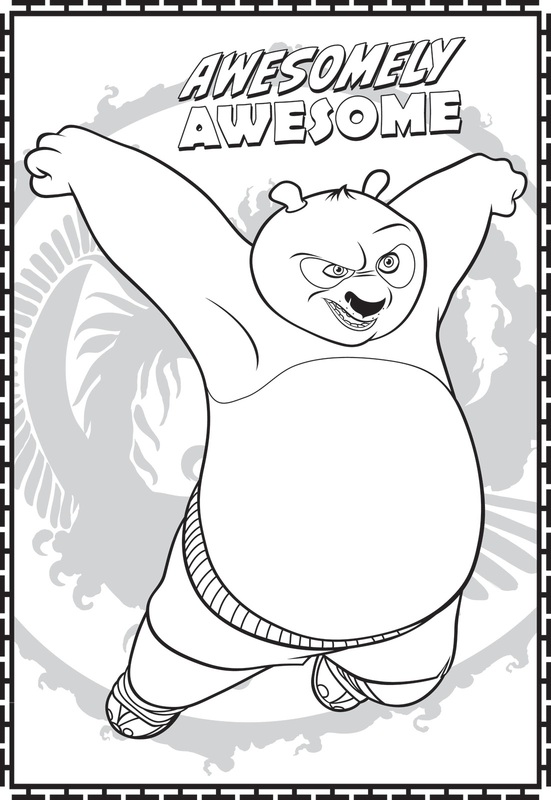 Picolour.com provides a link to download Kung Fu Panda Awesomely Awesome Colouring Page. To download please follow the steps provided. Before we end it here, we hope that all the sharing here will help you. Also, if you are interested in getting more stuff, you can download it here. “All the time Top 81 Best Cartoons Colouring Pages“.